Japan released the SPPI y/y, and Monetary Policy Meeting Minutes but there are no major economic reports in the US. The support rests at 109.090 with resistance at 109.450 which both lines are below the weekly pivot point at 109.560. The EMA of 10 is moving with bullish bias in the ascendant channel and it is above the EMA of 100 and below the EMA of 200. 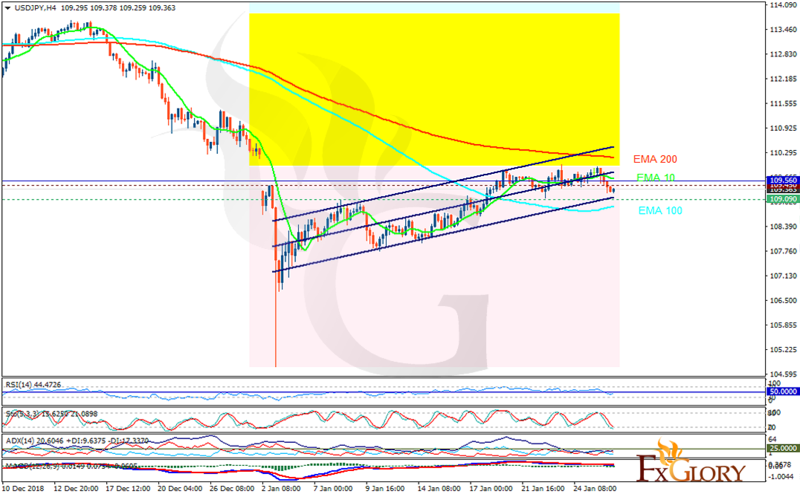 The RSI is rising towards the 50 level, the Stochastic is moving in low ranges and the MACD line is below the signal line in the negative territory. The ADX is showing weak sell signal. USDJPY is moving in low ranges since last year and it is recovering very slowly. Buyers can target 109.6 today.